What is the best mouse trap on the market today? That’s usually the first question that comes to mind when you see a rodent running away into the dark unreachable spaces in your kitchen. I don’t like seeing mice in my clean house and I’m sure you too hate seeing them running around. However, not every one of us has the ability, or strength of will, to smash a mouse dead when you come across one. You could probably call a pest control expert to handle the situation. But that’s a rather inconvenient and often costly decision. The only solution left is to find the best trap that can effectively get rid of the pesky mouse from your house. There are numerous types of rat traps on the market today. By now you’ve probably tried most of them with varying degrees of success. You could also have read many mousetrap reviews online. But instead of making decisions, you may be ended up getting overwhelmed by the huge number of recommended mouse traps. 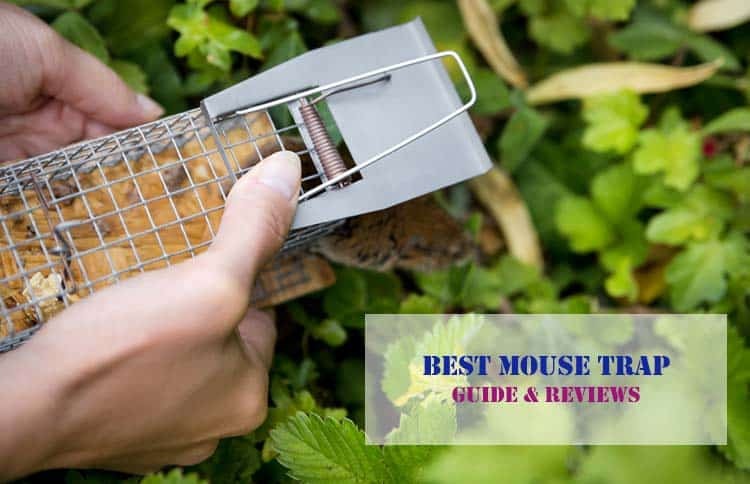 This compilation of mouse trap reviews and buyer’s guide will show you different types and models of traps. And it will help you make a more informed buying decision when looking for the most suitable rodent control solution. Do Mice Really Spread Disease? How Do You Rescue a Mouse that is Trapped In a Mouse Trap? What Can I Put on Mouse Traps? How Do I Set Up a Mousetrap Without Hurting Yourself? How Do I Clean Mousetraps? How Many Traps Should I Set? How to Know When All the Mice Are Gone? We took the trouble to research and examine different mouse trap options available. In the end, we came up with a list of the b 10 best mice traps to buy. Our list includes both elimination and humane catch-and-release traps. We compiled this mouse trap review to help you find the most effective way to end rodent infestation in your home or workplace. These are all top performing rat traps that actually work as advertised. The new Victor Electronic Mouse Trap delivers a clean, quick and clinical death to mice by giving them a high-voltage shock. The Multi-Kill is much more efficient than any snare that you may set up for mice as you can catch 10 mice with just one setting. This translates to 150 mice killed for every set of C-cell batteries that the device goes through. As soon as the trap has eliminated a target, it flashes a bright green to let you know that the problem’s been taken care of. If it flashes yellow then you know that the chamber’s full. The great thing about this device is that it’s really easy to use and all you have to do is set and place the bait and then turn it on. The rest will take care of itself. Once the device has caught and killed the mice, you can remove them by opening the collection drawer and throwing the mice into the trash. And you can obviously reuse it again. Just keep in mind that this unit is suitable only for mice and not rats. Finally, if you are still wondering what is the most effective mouse trap that works? Here is the Victor Electronic Mouse Trap M2524- the best electric mouse trap for you. More than that some experts considers it one of the best mouse trap ever. 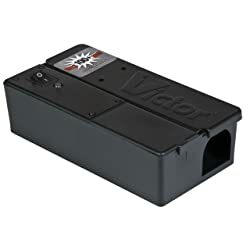 The Victor Multi-Kill Electronic Mouse Trap features cutting-edge smart circuit sensors that alert the unit as soon as a mouse wanders into it. Produces a high-voltage shock to deliver a quick death. Comes with safety features like a built-in safety switch to keep kids from getting hurt when touching it. Super easy to use and switch. Boasts a 100% kill rate, thanks to its beveled column design that helps prevent mice from escaping. Delivers a quick and humane death to mice. Safety features that are made with kids and pets in mind. You can re-use it again if needed. The shock is not powerful enough to kill large mice or rats. 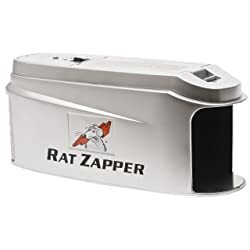 The Rat Zapper Classic Trap is made to euthanize effectively in the best way possible. It kills rats instantly using a powerful electric shock. It is a user-friendly mouse trap too. Just insert the batteries, place the bait, and turn the power on. The light indicator on top of the trap immediately blinks red when a kill happens. You won’t even see the dead rodent when disposing of it. Simply tip the trap to throw the rodent into a trash can. It is a hygienic no-see no-touch mouse trap. So, still suffering of the rat problem, don't have the guts to see the blood? Now you can leave your headeche for this best electronic rat trap. It will take care of the rest. You can easily use it. It doesn’t have a complicated setup process. It uses four AA batteries that can last for as long as 60 days. The batteries can kill twenty rats. It allows a hands-free, no see disposal of dead mice. This is quite hygienic. It has a light indicator that blinks to tell you a kill has just happened. Doesn’t require poisons or chemicals. It is reusable and lasts for a long time, saving you money in the long run. It has a long construction that helps to eliminate rats with long tails. 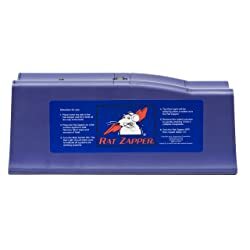 The Rat Zapper Ultra Trap is the perfect solution for anyone that’s dealing with a large rodent problem. It deals with large mice with the same efficiency. It has a nice low-profile design which contributes to the ease of use and it’s considered to be a humane way to kill rats because it uses a high-voltage shock for a fast kill. Want to get rid of the rats fast? Get this best rat trap asap. The makers of this product sure did their research because it actually applies shock for a whole two minutes, thus eliminating the possibility of an escape. This ensures a high kill rate because even though rats can restart their hearts, they simply aren’t able to because of the two-minute stretch. To use the trap, place a mouse ‘snack’ on the bait cup, put the trap in a strategic location and activate it. It comes with smart circuit sensors which alert the rest of the components when a rodent has entered the trap. Perfect for targeting large rodents like rats. It keeps the rat within the kill chamber so that you don’t have to see its dead body when disposing of it. The trap will alert you as soon as it has made a kill by flashing red. That way you don’t have to keep checking the trap for dead mice. With the Victor Electronic Rat Trap you can trap and kill your rat within seconds and all without having to touch or even be near the trap. Its design features small plates that activate when the rodent steps on them, thus killing it immediately. Once the mouse has been caught and killed, the unit flashes green to indicate that you can dispose of it. Disposal is super easy and this trap has been designed in such a way that you don’t even have to look at it while you’re releasing the dead body into the trash. To get the best results from this trap, make sure to place it in a location that’s frequented by the rats. You can always tell a rat “hot-spot” by the droppings and chew marks that they leave behind. Easy to use. All you need to do is set the bait, switch the trap on and empty the chamber afterward without so much as seeing the dead rat. Thanks to the patented design, there’s no chance of escape for the rats. Delivers a high-voltage shock for an almost immediate death. Has a 90% kill rate. Comes with auto reset feature for multiple kills. The AB Pro-Quality Live is a humane catch and release mouse trap. It can effectively catch a wide range of small rodents including mice, rats, and even squirrels. The trap has a size of just 10.5 x 5.5 x 4.5 inches but is effective enough to arrest small rodents without causing them injury. You can use this trap for both indoor and outdoor.It is also safe for children as it does not involve the use of poisons or chemicals. 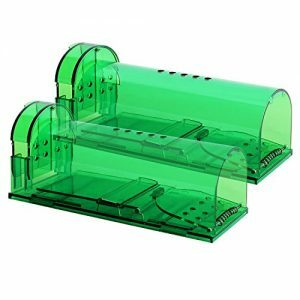 As this trap is not used to hurt the mouse, we consider it the best humane mouse trap in our list .So, if you really hate the animal cruelity and don't want to hurt this small creatures, you can use this non lethal, best no kill mouse trap for your convenience. Very easy to use which comes with a simple set up instructions included. Safe for use in a home with children. It doesn’t use poisons or chemicals. It has an effective locking mechanism that ensures the caught animal does not escape. Animal Rights Organizations from all over the world suggest to use the humane traps such as AB Pro-Quality. 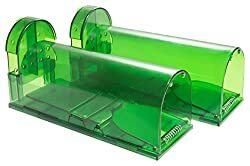 If your intention is to catch rodents without necessarily killing them, then the Authenzo Humane Mouse Trap is for you. This particular model is the latest upgrade from the company and it includes features that weren’t available in previous models. 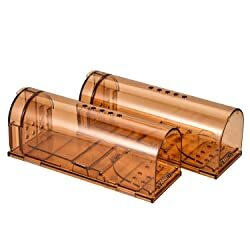 It’s constructed from high-quality ABS plastic and has a transparent design that makes it easier for the trap to just blend into the environment you place it in. The thoughtful design also includes air holes for ventilation. The best part about this unit is that it’s easy to set up and safe to use, while the maintenance is a breeze as well. Thus, it can be considered as the best outdoor mouse trap as its really safe to use it inside the home as well as outside of the home. Made from a strong, high-quality plastic material. Features a transparent design that blends into surroundings. Features air holes for ventilation. Easy to clean, just rinse with water and you’re done. It’s a humane and painless way to catch rodents. The release door might be a bit challenging, especially when you want to open it. The Catcha 2 Piece Smart Mouse Trap provides a more humane way of catching and releasing unwanted mice. It is a better alternative to poisons and snap traps. It simply lets you capture mice without killing them. All you need to do is place the bait, such as butter, on a small compartment. The bait lures the mouse inside where the gate will instantly close once the mouse triggers the trap. You can then release the rodent anywhere far away from your home. That is why this mouse trap is considered as one of the best live mouse trap ever. Eco-friendly and safe as it doesn’t use poisons, glue, or chemicals. It is reusable. Simply clean it after releasing the mice and set it again. It provides an economical rodent control solution. It has a no-touch disposal of the captured rodent. You need to check inside frequently as the captured rodent can dehydrate or suffocate if not released for several days. 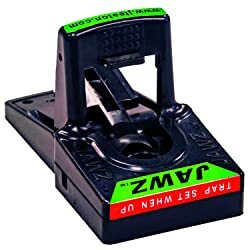 This particular mouse trap from Kensizer is ideal for when you want to trap small rodents and animals like squirrels or chipmunks. It’s constructed from durable aluminum that’s made to last, featuring a sensitive trigger mechanism and wire mesh on the sides for ventilation. As soon as the rodent steps on the trigger, the door will close automatically behind them, effectively trapping them inside. This is a simple to use trap and it’s available in a bigger size as well. Allows you to catch the rodent or small animal without hurting it. Comes in a bigger size in order to catch larger critters like a badger. Made from a unique patented design. Easy to use and highly efficient. Features a sensitive trigger mechanism that automatically and quickly locks the door as soon as the animal comes into contact with it. Made with high-quality durable materials. Comes with safety features designed for pets and kids. You only catch one rodent at a time with this trap. Boasting a 100% success rate, this set of 6 traps from Kat Sense is perfect for anyone that’s experiencing a rat infestation of some sort. 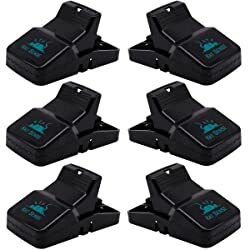 It enables you to set six very effective rat traps at the same time, and they’re guaranteed to catch even the biggest rats. Each trap is made from durable polystyrene and comes with stainless steel springs from which no rat can escape. Plus it offers hands-free disposal which means you won’t have to touch the rats after the kill. Don't want to break your bank, grab this best mouse trap for home for a few bucks only. Comes with an integrated bait cup where you can place the bait you’ll be using to trap the mice. Features sharp and well-designed teeth to ensure a clinical kill, every time. This feature works in conjunction with a highly sensitive pedal and a responsive snap mechanism. Easy to clean so that when you set another trap, mice won’t be able to tell that they’re headed to a trap. The JT Eaton Jawz Plastic Mouse Trap is very efficient at eliminating pests like rodents promptly and humanely. Its design includes a high tension spring and a durable plastic that allows it to catch the mouse and kill it without stripping the skin.As such, it’s easy to clean up afterward and you can reuse the trap again if you like. For the best results with this trap, make sure to use solid or liquid bait. The electronic trap has a light on the top that blinks to alert you as soon as the rodent has been zapped. This ensures that you don’t have to open it and physically check inside. You can use it anywhere in your house. Made from durable plastic material. Compact size means you can place this anywhere. Backed by a one year warranty. Manufacturers recommend using solid or liquid bait with this. It features a red label to let you know when the trap has been set. Has a tension spring that’s really good at eliminating mice. Ensure you understand and follow all safety instructions for setting traps and disposing of mice. Always wear protective gear to minimize contamination to you or your loved ones. Know your mice and set traps in areas where you observe their activity. Look for droppings, odor, urine and teeth marks on surfaces or food items. Set the right size traps and the right amount of bait in the right areas. Too much food on the trap may prove ineffective. Instructions may vary depending on the type of trap you select. Ensure you understand and follow instructions for setting up, resetting and disposing of mice. Keep fingers away from spring traps to avoid getting hurt. Place traps in areas that small children or pets cannot access easily.Always wear protective gloves, and face masks when handling living or dead mice and when cleaning traps. Bait the traps before you set them out. Do not set traps in corners inside doorways. If you do not catch any mice within a few days, shift the trap somewhere else. Mice forage for food, in over-stuffed garbage cans, unwashed dishes left in the sink, pet food, and anywhere there is clutter. They also find food in vegetable gardens, fruit trees, and grains and seeds in flower beds. Rats will also chew on exposed food packages and unused clothing and leather goods, as well as indoor and outdoor plants.Get rid of clutter like old newspapers, plastic bags and other items they can chew on. Do not allow garbage bins to spill over.Package food items in airtight, durable containers.Sanitize counter tops, stove tops, grills, and other areas where mice frequent.Plug any small holes under doorways, in attics and basement spaces. Rent professional outdoor bait stations around garden beds, fruit trees, and open fields Some organic scents like peppermint help repel mice. Place a few drops in spaces like basements, sheds, garages, and attics. Rats tend to make nests in garden beds, attics, basements, and under cupboards, cabinets, and appliances. They also make scurrying, scratching noises as they move around.Look for nests and holes among clutter, old clothing, cardboard or insulation. They also leave droppings wherever they go. Trace foot and tail marks in dusty areas, as well as smudge marks from dirt and grease on their bodies.Search for mice holes under guttering or other openings around the house. They like to burrow to help keep warm and store food. Check for teeth marks on exposed items. Mice will gnaw their way through clothing, cardboard and even electrical wiring. Set the traps in areas like behind stoves, fridges, dishwashers, and furniture. Also, place them in the back of cabinets, cupboards, and pantries, close to food sources.Look for places where you notice droppings or foot and tail marks. Set them close to baseboards, and along walls where they like to run along.Do not place other objects close to mouse traps. Other objects may block mice from coming onto the raps. 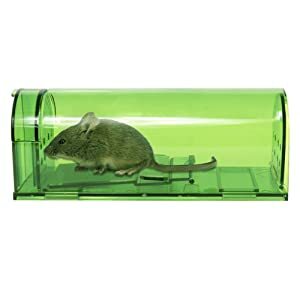 For confined spaces, you may need to tie a string onto the trap to help keep mice from pulling free of the trap.Set traps around garbage bins, drywall, countertops, stovetops, and grills. Also, place them under cupboard doors and around plumbing and garden beds sheds and garages.Set multiple traps in various areas. Mix and match the traps to maximize results. Successful baiting will help rid your house and surroundings of rats and mice. Most householders tend to over bait the traps, but little is usually better. Rats can be very crafty around traps. If the bait is too large, they will nibble at it and bypass the trap without triggering it. The secret is to place items that easily stick onto the trap to lure mice. Always wear gloves when cleaning mouse traps. Do not handle living or dead mice with your bare hands.Protect your hands from rat feces, urine, and spores. These particles can carry viruses and may cause severe illness and disease. Use a disinfectant or diluted bleach to help loosen droppings on the traps. Take a paper towel and scoop the softened droppings. Place them in a plastic bag and into the garbage bin.Wash the gloves with disinfectant or bleach. Take the gloves off and discard them. Sanitize your hands with warm, soapy water. When you catch a mouse, here are a few tips to successfully and safely remove the mice, and clean the traps. Do not touch the rodent, whether dead or alive. You may expose yourself or family and pets to harmful viruses and disease that may compromise your health. Wear sturdy gloves. Use bleach solution or household cleaner to sanitize the area and the trap. Place the mouse in a plastic bag, along with any unused food bait or droppings. Tie the plastic bag and place it inside a second bag. Tie it up and drop it in the trash can. Wipe the trap with disinfectant to remove the mouse the scent before re-setting it. Use a bin, box or bucket to deposit the trap. Take the container to a remote area and release the mouse. Place a piece of wood to form a barrier between yourself and the trap. It will help keep the mouse away from you when you release it. Wear gloves and tip the trap open to let the mouse fall off the trap.Clean any food particles, hair or droppings that may be on the trap. Wash off the gloves with disinfectant and throw them in the garbage. Clean your hands by washing them in warm, soapy water. Don a pair of household gloves. Pour a small portion of oil on the mouse and around the glue to help loosen it. Work the oil around the surface until the glue loosens up and frees the mouse. Hold the trap in a plastic bag and drop it in the trash can. Take the mouse to a distant place and release it. Wash off the gloves with disinfectant and dispose of them in the garbage. Thoroughly wash your hands afterward. Mouse traps provide an effective non-toxic method of controlling rodent infestation in your home, commercial kitchen, or warehouse. They come in 4 types namely snap traps, catch-and-release traps, and glue traps. Snap traps, especially the wooden variety have a long history that goes back over 100 years. They are still used in millions of homes and workplaces around the world to eliminate rodents. Besides, this is the oldest and most effective rodent control solution. Generally, all snap traps come with a kill bar that breaks the rodent’s neck in one powerful swift stroke. Today’s snap traps have a few tweaks and modifications to improve efficiency and instantly kill the rodent without causing much suffering. They are also made of non-absorbent plastic or non-stick stainless steel that’s easy to clean. Available in two options, one is reusable and another is disposal. It can be placed indoors or outdoors. It's possible to see the dead rat or mice. You can opt for a snap trap that has the scent of a pre-baited cheese. There's no longer a need to use rat poison or chemicals. It has a killer bar, which makes catching mice even more effective. It's a very economical way to trap a mouse. There's no indication on mice or rat kills. It can only kill one mouse at a time. If you'll go for the reuse option, you'll need to clean the snap trap after the release of a captured mouse, which is a hassle. There's a risk of getting hurt when setting up the trap. Pets could get hurt as well if the trap is placed in areas where pets often pass by. Electronic rat trap and mouse traps may be relatively new in the market but have a high success rate of eliminating rodents. They cause instant death to the rodent through electrocution, delivered by a high voltage shock. They are easy to use and provide a fast, instant, and humane kill. Electronic mouse traps are reusable and can last for years. Another good thing about this type of rat trap is the fact that it is enclosed in a plastic cover. This ensures that you don’t have to see or touch the dead rodent inside if you don’t want to. They are clean and hygienic. They work well in places with heavy rodent infestation. You need batteries or a plug-in adapter to power the trap. Kills mice quick and in a more humane way. Killed mice can be easily disposed of without having to see or touch them. It could cost you more money, especially if you have more than one rodent to kill. Kills the mouse immediately without any chance to be released alive. Catch and release mouse traps provide the most humane way of getting rid of rodents from your home or office. They help to catch the rodent alive then release it back to the environment away from your home. They are quite economical too as they can catch multiple mice in a single setting. Some models can capture as many as 30 mice. They don’t have a kill mechanism as they are not designed to kill but simply lure in the rodents and trap them inside the trap. Most models are large enough to capture other bigger animals such as squirrels, voles, and shrews. They are also safe to use in homes with kids because they don’t have dangerous poisons and chemicals. A no-kill and more humane way of trapping a mouse. Thus, if you're someone who can't bear the thought of killing a living creature, then this is a good option. As I hate animal cruelty, I personally encourage people to use this type of mouse traps. The trap has to be monitored regularly because you cannot just leave the mouse for too long. It must immediately be relocated outdoors for the mouse to be released. You may need to handle the trapped mice and drive them to some far-away place to be released. If you're going to release the mice near your house, there's a possibility that they will keep on coming back. Glue mouse traps are used to eliminate mice and other small rodents. 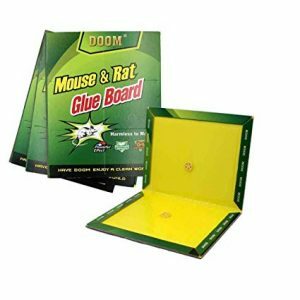 The glue trap uses powerful sticky glue evenly spread on a cardboard surface to trap mice and rats. It is quite easy to use and monitor. You only need to open the glue board and place a few crumbles of bait at the center and the rodent will get stuck on the board when it walks in to eat the bait. Glue traps are inexpensive and effective but removing the stuck mouse from the board is something I personally wouldn’t want to try. I hate to see animals suffer. If used properly, the trap is very effective even if you don’t put any bait. The mouse can be disposed of without the need to touch it. Some people find it a cruel and inhumane way to kill a living creature. It’s only good for one use. Live release will not be possible. Should be kept far away from the kids and pets. We don’t encourage in any way the use of glue mouse traps. It’s an inhumane and cruel way to kill mice. Please keep this in mind. Thank you! Whether you wish to believe it or not, there’s enough evidence to support the fact that mice actually spread close to 25 diseases.Numerous studies show that there hundreds of human pathogens that are spread by mice that can make you ill and can sometimes be fatal. Science also suggests that up to 10 million people die from some sort of disease from mice every year.Mice spread disease through their saliva, urine, and feces. They contaminate almost every surface they touch and can cause you to get ill. Some of the common diseases spread by rats include salmonella, typhus fever, Hantavirus, leptospirosis, Lyme disease, the plague, and rat bite fever. Most diseases from mice are spread to humans through bacteria and ticks on rodents that can easily get into food and drink or even water.In the case of salmonella, studies reveal as many as 500 persons may die of the poison each year, and as many as 1 million can get infected. Although rats generally have a short lifespan, they can live as long as 2 years if left unchallenged or undetected. They will gain a foothold that may be difficult to manage. Mice will utilize any and all areas around and can cause damage to your property, or even expose you to fires if they gnaw on electrical wires in areas like the basement or attic. Holes in the earth near the house, cracks and other openings in the walls, flooring or fence are perfect spaces for mice to hide.Houses built too close to the ground or near sewage systems can also attract mice and increase the risk of infection if they contaminate your house. Studies reveal that rat infestation increases in areas where persons practice poor sanitation.Such habits include improper or infrequent disposal of garbage, uncovered garbage bins, littering, leaving food items exposed, overcrowding, poverty and using outhouses or pit toilets. Mice thrive in warm dark spaces and can go undetected for long periods in such areas. Accumulating clutter such as old clothing, old papers, piles of rubbish, rubble and stacks of lumber can harbor mice. Items stored in boxes in the basement, attic or shed can also provide room for mice to roam and breed. Other risk factors for mice to infest include abandoned or derelict buildings, old furniture, and abandoned vehicles and appliances are also places where mice will nest and breed. Mice will also feed on animal and pet food left in pet containers. They will eventually make their way into the house.Fruit trees, shrubs, household plants are risk factors for mice infestation. Rats and mice like to nest and breed in warm, dark spaces in and around the house. Rooms like attics, garages, basements, and sheds are perfect spots for them to hide.They also like to live behind furniture, cupboards, cabinets, stoves, furnaces, water heaters, grills and even under vehicle hoods or open garbage bins, and clutter. If you notice rat droppings and urine stains on furniture or surfaces, you have a rat problem. Rats will leave feces and urine on every surface they touch.Rats and mice also like to chew and gnaw on exposed food items, plastic, electrical wires, and even wood. If you see small, round holes in any of these items, it could mean you have rats and mice. Also, if you hear scurrying or scratching sounds especially at night, you know that mice are present. For catch and release taps, take it away from the house and tip it over to release the mouse. Other varieties may have sliding lit that lets you shift it and set the mouse free.For homemade traps, many of them have a bin or bucket under the trap to catch mice when they tip the trap over. Take the container to a distant place and let the mouse go. If the mouse gets stuck on a glue trap, use a pair of gloves and a rag to hold the mouse. Try to lift it off gently. Next, pours a small bit of oil around the glued area. Rub it with a cotton ball or tip to loosen it. Take the trap in a bag and deposit into the nearest bin. Take the mouse outside and release it. Don gloves and a face mask. Dilute water with bleach, vinegar, baking soda or disinfectant in a spray bottle according to instructions. Apply over the entire area. Wipe surfaces thoroughly with a disposable towel or rag. Erase any visible marks and reapply disinfectant if needed. Dispose of the gloves, mask and cleaning cloths. Ventilate the room with a fan, or leave the windows open until the scent goes. 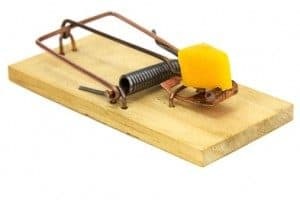 Mouse traps work by trapping mice within the confines of the trap so that they either die or cannot escape unless you release them.There are quite a few traps available, depending on your preference for getting rid of mice. Catch and release traps are known as humane traps since they allow you to trap mice safely without harming or killing them. With catch and release traps, you don’t need to use poison, glue or any pesticides. They are perfect to use indoors as well as outdoors. You place a small piece of bait to lure the mouse onto the trap. The spring door closes as soon as a mouse enters the trap, with no chance to escape. You can then take the mouse trap out to a remote area and release the mouse. Snap and release traps are ideal for persons who prefer to get rid of mice without harming or killing them. They trap mice without injuring them or causing them to die slowly onto the trap. 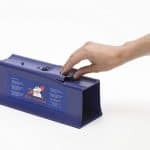 Snap and release mouse traps are safe around pets and children, and there’s no messy clean up after you trap the mice. Snap traps are the more traditional types of mouse traps. They are usually wooden or plastic with a receptacle to hold the bait. The traps come with a metal lever that angles backward. You set the lever by turning it until it clicks into position. There’s a small opening for the mouse to get inside the trap. When the mouse enters the trap, the lever releases the spring and snaps shut, holding the mouse on the sensor plate.While the wooden traps may be hard to set, the plastic snap traps seem to work more efficiently. They are cheap, reusable, safe, hygienic and humane. There’s no need to touch the mouse when you are disposing of it. Just tip the mouse over into the garbage bin. Electronic mouse traps operate by battery power and deliver high-voltage electrical shocks when mice enter the trap.The trap utilizes circuit engineering to detect when mice enter the trap. Immediately, the technology activates high volts of electricity to kill mice outright. Set the bait inside the trap and wait for mice to enter. As soon as a mouse dies, a light alerts the user to empty the trap. You can then place the mouse in the bin without touching or seeing it. Some electronic mouse traps have built-in safety features that protect children and pets from pushing their hands or paws inside the trap. Some sensors deactivate the electrical voltage when the door is open. Electronic mouse traps have a tapered, tunnel-like design on the inside that makes it difficult for mice to run out when they feel the electric shock. They are affordable, safe, hygienic, user-friendly and reusable. Mice die on contact, without any injury or prolonged suffering inside the trap. There are several things you need to consider when it comes to materials used to construct the mousetrap. First and foremost, it should be designed using sturdy and durable materials such as stainless steel or heavy-duty plastic. You obviously want a trap that will last a long time because rodent visitors have a way of dropping by every so often. A long-lasting and reusable mousetrap will save you money in the long run. Secondly, you need a clean mousetrap made of non-absorbent materials that will always stay clean and dry. 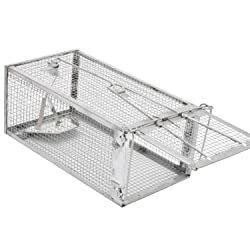 A good snap trap made of stainless steel or non-absorbent materials should be able to catch and kill the rodent without causing messy bruises and cuts. Choose traps that are easy to set, dispose of mice and keep clean. Purchase traps that are safe to use around children and pets. Opt for traps that do not require glue, chemicals or poisonous bait. A good trap will snap and release without too many hassles. Opt for traps that are reusable and can reset easily. Choose traps that utilize a safe and humane trapping action, and leave little or no mess to clean up. Replace faulty traps with new ones where necessary. Purchase the right size traps depending on the rodent problem. If the sight of dead mice upsets you, choose a more humane type of trap. How successful your mouse traps are will depend on the size of infestation. I just tried to break down the topics as much as possible. Here it goes. Where you place your trap is also essential. Set traps close to the baseboards along the walls in the affected areas. If you notice more than one mouse or rat, you will need to set multiple traps in areas where the mice frequent. Place the traps in pairs, positioning them parallel to the wall. This way, the mice will likely enter from either side. Mice usually scurry around at night in the dark. Chances are you will trap more mice on the first night you set the traps. Use the right bait, depending on the infestation. Opt for smaller portions of bait, so that mice can’t nibble and move on. Favorite bait includes peanut butter, bacon, oatmeal or chocolate. The average type of trap is sturdy and durable. Most traps feature strong plastic engineering that is reusable and easy to clean. They are sturdy and reliable enough to use indoors as well as outdoors in all weather conditions. The high-end type of traps enjoys USPTO approval. Some feature professional grade galvanized steel or wire mesh that does not rust or corrodes. Another unique design element incorporates sturdy doors and handles shields that help protect you from injury while transporting the trap. Other traps even have rounded, coated edges that help keep mice safe from harm when moving around inside. The design you choose will largely depend on the type of mousetrap you want to use. Mice traps are available in different shapes and designs. Whichever type or design you go for, just make sure it is easy to set up and, most importantly, allows you to dispose of the seized mouse without touching it with your hands or fingers. Hands-free disposal of dead mice is not only hygienic but prevents the risk of contracting diseases associated with rodents too. If you choose to go for a snap trap, make sure its design incorporates proper tension that allows the trap to instantly snap on the rodent and hold it firmly until you remove it. An electric mousetrap should ideally have blinking LED lights that alert you when the culprit has been zapped. The size of the mousetrap does matter too. A small trap will be of little or no use when you have an infestation of large rats or mice. Take time to observe the type of rats or mice frequenting your home and choose an appropriately sized trap. A catch-and-release trap should have sufficient volume to catch a good number of mice, especially in heavily infested environments. If you go for an electric model, check if it is powered by batteries, AC plug-in adapter, or both. This type of mousetrap works best when its batteries are fully charged. Its packaging may claim that it can kill up to 50 mice per battery charge. But in reality, its performance declines as the batteries gradually lose charge. It is advisable to go for an electric model with the AC adapter option. Your pursuit to get rid of rodents from your home should not be prioritized over the safety of your children and pets. An electric or snap mouse trap can cause serious harm to children and pets if placed within their reach. Make sure the trap doesn’t have tunnels wide enough for children or pets to stick their hands inside. Most importantly, avoid any type of mice trap that uses poison or harmful chemicals to kill rodents. It is not safe for home or office use. It’s wise to take every precaution when handling mouse traps and mice. Bear in mind rats and mice can expose you to as many as 20 serious diseases, a few of them may be fatal. Since rats and mice leave urine and droppings on every surface they touch, safety is essential.Protect your hands by wearing gloves, and use a face mask to help shield you from contamination and breathing in potentially harmful spores. Have a bag handy when disposing of dead mice. For living mice, wear gloves and tip the trap over to release them in remote areas away from your house.Clean and wipe all areas with disinfectant or bleach solutions to sanitize the entire surface. Never vacuum an area infested with rats or mice. The circulating air can spread contaminated spores into the atmosphere. Clean all reusable traps, since mice can pick up their scent easily. I personally don’t like causing harm or killing animals. I hate animal cruelty and don’t have the stomach to watch any animal, including pests, suffer a painful death. Although mice are unhygienic, destroy household stuff, and can spread diseases, I wouldn’t want to harm or kill the little creatures. After all, they are just mice being mice. I’d rather catch them alive and relocate them back to their natural habitat away from my home. This is why I strongly advocate for the use of catch-and-release mice traps. You won’t cause any harm to the rodent when you catch and release it back to the environment. There are many ways of catching a mouse alive. The easiest method by far is using any of the multiple catch-and-release traps available on the market. Most of these traps have a cage-like design or a plastic body and a trap door. All you need to do is place a bait item such as grains or food inside the trap. As soon as the rat walks in to eat the bait, a trap door closes instantly leaving the mouse imprisoned inside the trap. Keep in mind that you’ll need to release the mouse as soon as possible as I may die of dehydration if left inside the trap for several days. Mouse trap bait lures the rodent into the trap so you should use an item that mice like eating. Mice, like all rodents, are natural seed eaters and are usually attracted to high calorie fatty foods and sweets. Soft cheese or peanut butter works best. Other items you can use include gumdrops, marshmallows, beef jerky, and nesting material such as twine, yarn, and dental floss. 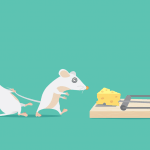 Setting up a mousetrap without hurting yourself is not hard. All you need is a pair of steady hands, confidence, and knowledge of how to do it. If you are not careful when setting up a wooden snap trap, you could end up catching and injuring your finger. To avoid injury, use a pair of needle pliers or screwdriver to remove set the trap. You can also place your thumb firmly in the corner of the kill bar to ensure that it doesn’t snap on your finger. Keep your fingers away from the way of the kill bar just in case the trap accidentally goes off while you are holding it. It is important to clean the mousetraps properly to avoid mouse-transmitted diseases such as Hantavirus. Be very careful when you get into direct contact with a trap that has already killed a mouse. Ensure your hands are safely inside a pair of gloves before you do anything. You could spray the rodent and trap with a good bleach solution and then place the rodent inside a plastic bag. Spray it once more with the bleach and leave it to dry before reusing it. Depending on the level of rodent infestation in your home, use as many traps as possible. Keep in mind that mice reproduce fast. They can have a litter of six to seven young ones every 21 days. You may not know how fast they are taking over your home until it’s too late. To stop the invasion, you need to get rid of the mice as fast as possible. a good strategy is to place a trap every 2 or 3 feet along the wall in places with signs of mice activity. Place three or more traps in areas with the highest mice traffic. If you know where to find mice around the home, you can easily detect the signs they are no longer a problem for you.Start by examining each area you notice mice with a flashlight. Look for signs like footmarks, smudges, urine or urine stains and droppings.Once there are no new marks, or signs of urine or fresh droppings or chewed up wires, wood, clothing or papers, the mice may be gone. Sounds in the night like scurrying, scratching or gnawing can alert you there are mice nearby. If you no longer hear these noises, the mice may have left.Animals or pets will normally scratch or paw the areas where they are mice or get excited when they are around. If they are generally at peace, it means no mice may be there.Take a few sniff for odors in the affected areas like under the sink, inside cupboards, behind furniture and appliances and on surfaces. The absence of such odors may suggest the mice are no longer a risk. A mouse trap may seem like a simple easily available item. But getting the right one is not easy, especially when your decision largely depends on what you intend to do with the caught mouse. Is your objective to kill and eliminate the culprit or catch the rodent live? How do you intend to dispose of the dead or alive pest? These are some of the questions you need ask when looking for the best mouse trap. I have selected the top 10 mouse trap products in this review to address multiple rodent control needs of different households. The list includes options for those seeking for a humane way of getting rid of mice and other rodents as well as fast elimination options for those with heavy mice infestation in their homes. I have included products with different price points to cater to different budgets. There’re at least one or two mouse trap products in this review that meets your rodent control needs. Check the features, pros, and cons of each trap to find out which works best for your home or office.